The pre-Roman Venellii probably built here first, but no trace remains. As mentioned in the Brittany gallery, this area was the center of an ancient and exceptionally geomantic culture that the Catholic church overlaid with multiple saints, churches and strictures. 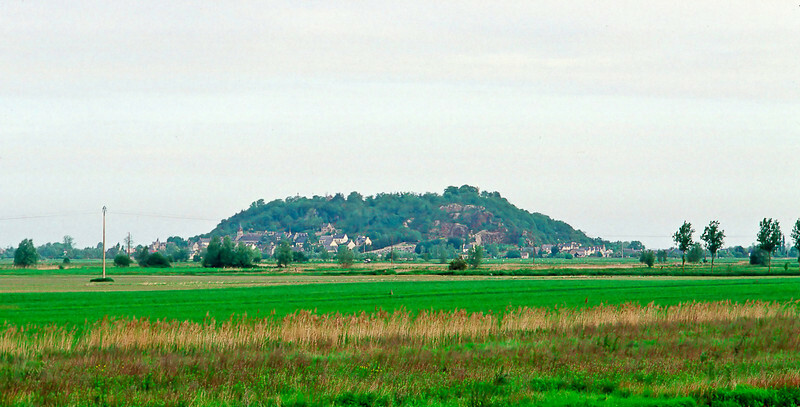 This granitic anomaly which resembles and may in places have been used as a extremely large passage grave near the border with Normandy is surmounted by a small church dedicated to St Michael, the destroyer of demons and evil spirits.